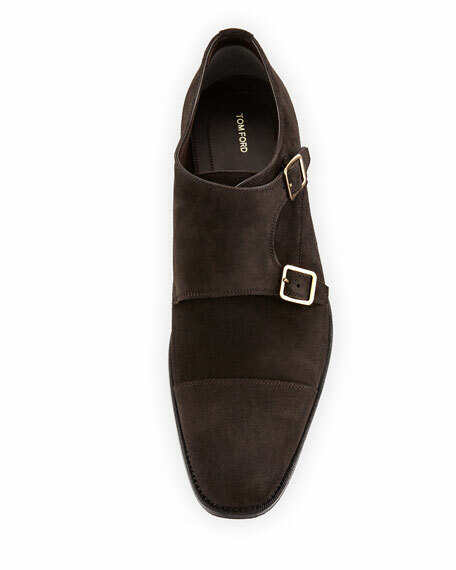 TOM FORD "Wessex" shoe in calfskin suede. 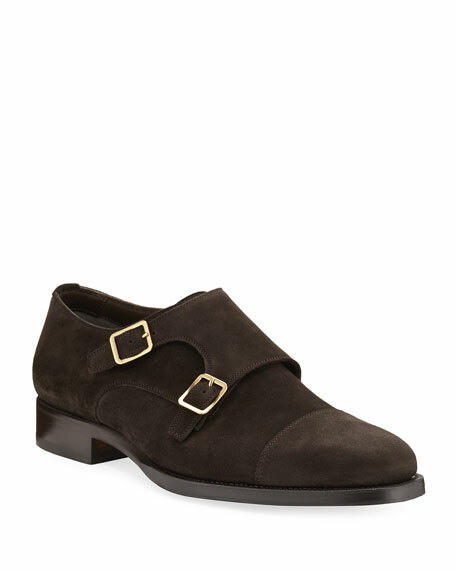 Double monk straps with golden buckles. 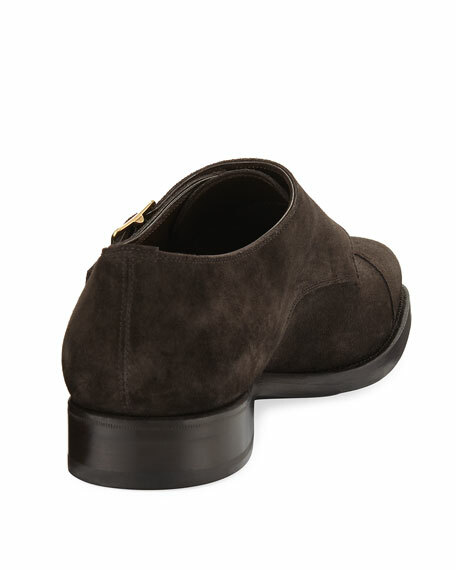 Ted's drivers in textured nubuck upper. 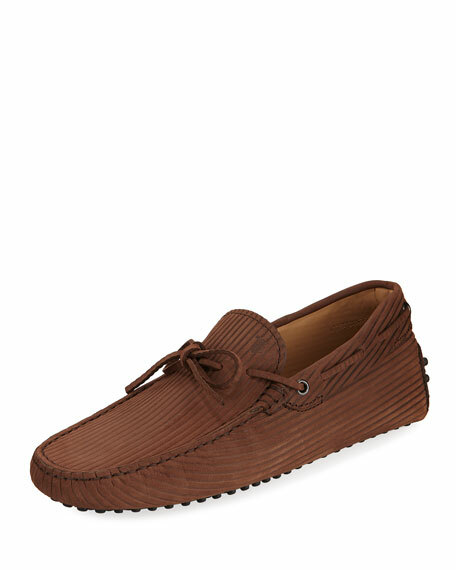 Tie-front with moccasin topstitching. 360 lacing. Classic rubber driving sole; 1.3"H. Slip-on style. Made in Italy.